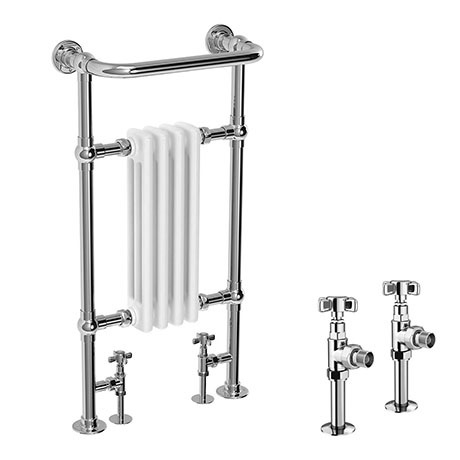 The traditional Mayfair heated towel rail, frame is manufactured from quality steel tubing with a chrome plated finish with a white vitreous enamel finish centre. Create a stunning period look in your home with this traditional heated towel rail, the ideal size for a smaller bathroom, such as an en-suite. A perfect combination of style and functionality. Give your bathroom a touch of sophistication and luxury with the Mayfair traditional chrome heated towel rail. Its beautiful design has been influenced from a bygone era yet has been built to the highest standards of today's capabilities. Output - 1875 BTU (568 watts).